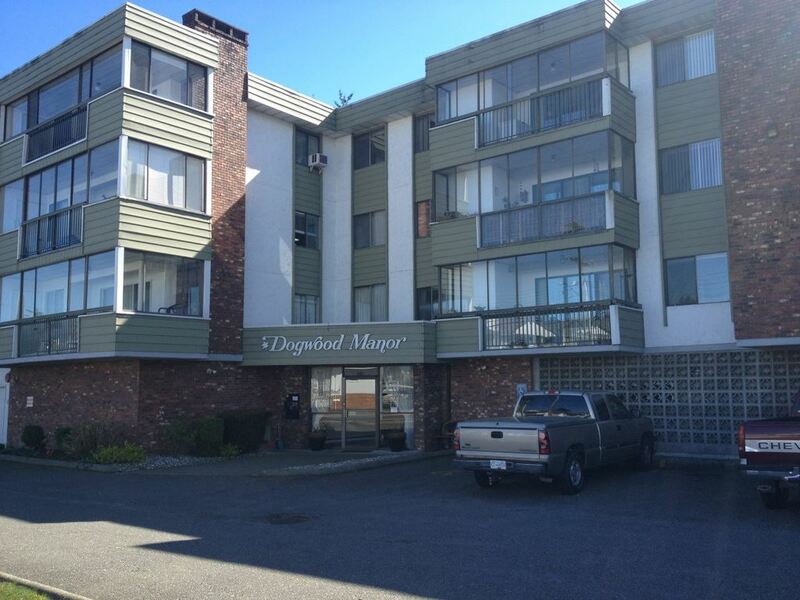 Great 2 bedroom condo centrally located. 5 mins to Hwy 1. McDonald 5 min walk. Glassed in sundeck w/storage. Several underground parking plus ample outside for visitors as well. Unit is in original condition & paid that way. Immediate possession. Extra storage locker on same floor. Age 50+, No Pets.